Here are the best messages to end a relationship with your crush amicably. Breaking up is not the best of experiences in life and it is not easy either. You can choose to ghost but that is not the best of ideas. It is much better to give some explanation, at least it ends up a relationship maturely and sometimes amicably. Still, texting your crush a breakup message can get so tricky. You will have to find really polite words to explain your reason for breaking up. If you can, go through the whole dictionary to get the best of words… Anyway just kidding. The fact is, writing a breakup text to your crush is not easy, and I understand that. 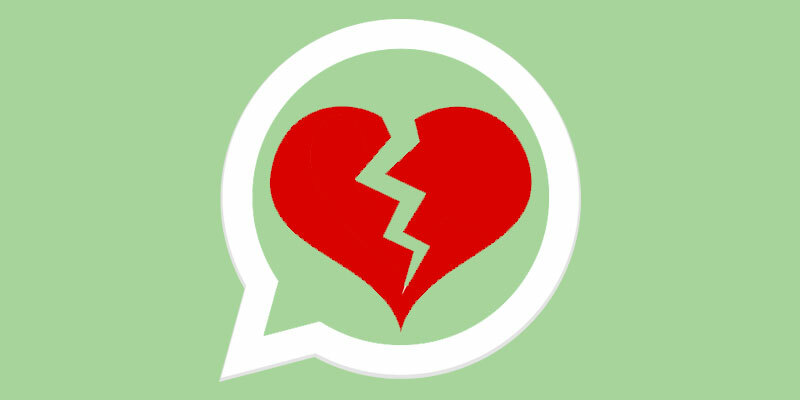 So, here are some of the best breakup texts that can help you finish your relationship affably. Hey Mary, I hope you are doing well today. I would like to tell you something…I’ve been thinking, we have been dating for some time now. I feel things are not working out between us. Still, can we be friends? Osborn was very wise not to get into the details, he instead gave something general. Well, this was obviously no good news to Mary, but his words were better than “You are such a bubbling brook”. The lady though hurt did really appreciate his honesty. She felt a little frustrated because things did not work, but she still felt esteemed by her ex. The words surely hurt Sara, but the polite tone used kind of calmed her down. First, she felt that Neville was mature to apologize for breaking up on the text. Sometimes it appears rude to do break up this way.Having mentioned something about the happy times they had made make her appreciate that the relationship was worth her time. Finally, the fact that Neville offered some little explanation for breaking up is totally good. Though I tend to think that being too honest all the time may hurt the other party. So sometimes just be general. Honey, I’m sad that we always fight and I know some how it is my fault. Maybe I am not the one for you. I think it will be best for us to part our ways than to continue arguing every day. I wish you all the best. Nelly was devastated to know that her relationship ended this way. She regretted that the arguments she had in the past were the reason for the breakup. In her other relationship, she was determined to change things. It is apparently a really honest text. It is on point, saying the whole matter in a short sentence. Mary did not feel so good about this. She may have been tempted to think that it was all her fault. Nonetheless, the nice tone in the text neutralized how she felt about herself. In a nutshell, the above examples can give you an idea of what to say when breaking up. The preceding examples are of break up texts for a boyfriend. I don’t know how to say this, but I have been really hurt by how you treat me. I was in love with you but I don’t think we can go on anymore. I think it will be best if we go our separate ways. The words used were very heartfelt and very deep. For that reason, Ibsen felt the sincerity of her words made it easy for him to respect her decision. My dear, it has not been easy for me to come to this. I have cried and will still keep on crying because we have to break up against our will. I wish I could do much…I still love you, and you will always be my friend. All the best in life. Carl must have cried, the text is already so emotional. Seeing their case also, such a text made Carl feel that at least Phoebe still cared despite her parents’ hatred. I would like to break up, not because I stopped loving you but because we do not agree on many things. I’m sorry for being imperfect and making you angry very often. Good bye. The message indirectly communicates the reason for the breakup and holds some affection for the other party. It made him regret his previous behavior and at the same time made him appreciate that the other party had been patient enough. You are such a precious person to me and I have no intentions to hurt your feelings. Nonetheless, I have felt that we are not getting a long since with Annie became your friend too. I think you deserve a better person than me, and I wish you the best. It would have been easy to tell John how bad he has been but this would not help things out. He knew that he was surely wrong and it was thoughtful of Bret to break up very kindly. This may have surely made him change. About this text, Bruno must have felt frustrated that she had to break up this way. On the other hand, he really appreciated that Nancy was honest about what brought up the breakup. After reading this text, Martin must have felt very sad for his neglect to Ann. He must have appreciated that she was very open and frank him. He surely would not miss seeing that Ann meant the best for him.Ending up your relationship may just not be the easiest thing you will ever do. Still, it is important to end it very genially, you never know, your ex may help you one time in life.